How to Get Best Mortgage Rates? When you are purchasing a home or renewing your mortgage, whether for the first time or not, then you want to get the best rate possible. A lower mortgage rate will help save you money that you can then use to pay down your mortgage faster or save up for a rainy day. How do you get a great mortgage rate though? There are a few tips and tricks to securing a great mortgage rate, but one of the most important things to do is find a mortgage broker who will search the market and find the best rate possible for you. Here are our top tips for getting the best mortgage rate possible! One thing that you need to get out of your head is that having the lowest possible mortgage rate is everything. While having a low rate is essential, understanding what mortgage products there are and which are best for you is equally important. You need to know whether a variable or fixed rate mortgage is better for you, and what a closed and open mortgage is and how it affects you. A reliable mortgage broker will be able to take you through all of this and help you figure out what the best option is for you, and get you the best rate depending on these factors. A 20% downpayment is considered the minimum downpayment, in best practices, to procure a mortgage in Canada. The absolute minimums though are 5% for $500,000 or less, 5% of the first $500,000 on home and 10% on the portion above $500,000 up to $999,999, and 20% of the purchase price of a $1 million home. If you pay less than 20% on a down payment, then you will need mortgage insurance. If you do not have enough money for a downpayment, however, then a mortgage broker can help you with a borrowed down payment, assisting you in getting the money you need for a downpayment from a loan or line of credit. If you collect all of the necessary documents for your mortgage broker, including employment letters, income confirmation, notice of assessment, and your down payment verification, then your mortgage broker has a better opportunity to get you a great rate. You should also start early; if your mortgage broker is under a tight timeline, then they will not have the kind of advantage they otherwise would to get you an outstanding rate. Give them all the information they need and a reasonable timeline so they can do their best work. When you want to get the best mortgage rate possible, matched to the right type of mortgage for your needs and lifestyle, then you need to see a mortgage broker. 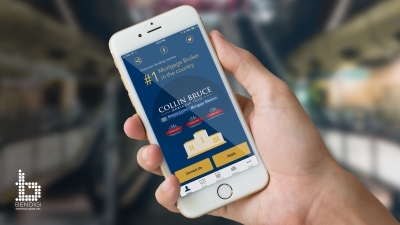 The Collin Bruce Mortgage Team want to help you get the best mortgage possible. We help with purchases, refinancing, renewals, insurance, CHIP reverse mortgages, and borrowed down payments. We have relationships with countless financial institutions so that you don’t have to do the legwork for a mortgage. We do it for you. Contact us today and get started on your journey to financial freedom.